What does “contest prep coach” mean to you? When I say it, it means all of the above. I’m never content to just write up a plan geared towards fat loss or muscle growth and send it off, crossing my fingers and hoping for the best. There’s got to be accountability, follow-up, lengthy question & answer sessions, detailed feedback, and a process in place for ensuring that nothing gets lost in the shuffle. 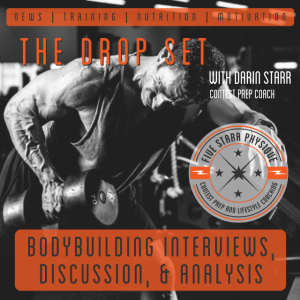 I’m Darin Starr and I’ve been involved in bodybuilding for 20 years. 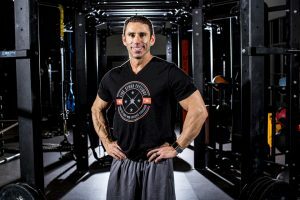 As a certified trainer, nutritional consultant, and a competitor myself, I’ve coached hundreds of clients and have made helping others in bodybuilding a full-time career, whether as a contest prep coach or as a coach for a more general body transformation. My goal as a coach is simple: always remember what that title means. Growing up and playing team sports, I remember well what my coaches did – not just the nuts & bolts strategy of how to win, but also how to improve skills, understand the finer points of the sport, and how to know how much you don’t know – only then can you really focus on learning and filling in the gaps in your knowledge. Bodybuilding specifically is hard work, consistency, and dedication – but knowledge is a key ingredient in your success as well. It takes curiosity and a desire to learn as much as you can, otherwise your potential will be limited. And the answer? Maybe nothing, maybe a lot. The point is that I take the time to ask, dig deep, and make sure that things are happening to my satisfaction. Bodybuilding isn’t just about “doing stuff” and checking the boxes of all the things that have to be done, but it’s about doing things effectively, efficiently, and with precision and intensity. One of the ‘big picture’ items I never lose sight of is that we’re all still human. Finding an online contest prep coach who expects perfection from everyone everyday is easy enough, but in all honesty more people fail with that approach than succeed. My focus is on building and developing a plan that is sustainable – yes there will be phases that are higher intensity that may not FEEL as sustainable, but they will also be shorter, and I always ask my clients very generally, “how ya feeling?” as part of our regular check-in, because I need to know. I get a lot of feedback from my clients that it feels good to be treated like a person, and also to have someone who will call them out on their BS and excuses when it’s appropriate. I’m sure at this point it probably sounds like I’m underselling this process, so let me be totally clear: whatever your goal, this won’t be a walk in the park. I will ask you to exhibit levels of discipline, consistency, and self-control that will probably feel foreign at first. Part of my role as an online contest prep coach is to help step you through that process, find ways to make things easier, and focus on continuous growth in that arena as well. There will be a lot of demands placed upon your time so it’s important to be as efficient as possible. I would hardly consider myself a professional life coach or therapist, but clients have called me both of those at times. Being successful in bodybuilding – whether competitive or just for fun – has to be handled in a holistic manner. Everything counts. What ‘next step’ is right for you? I live in Knoxville, Tennessee with my awesome wife and our 2 dogs. Clearly bodybuilding is a constant presence in my life, but when not in the gym, meal prepping, or helping clients I enjoy woodworking, home renovation and construction projects, and playing piano in 2 different bands.